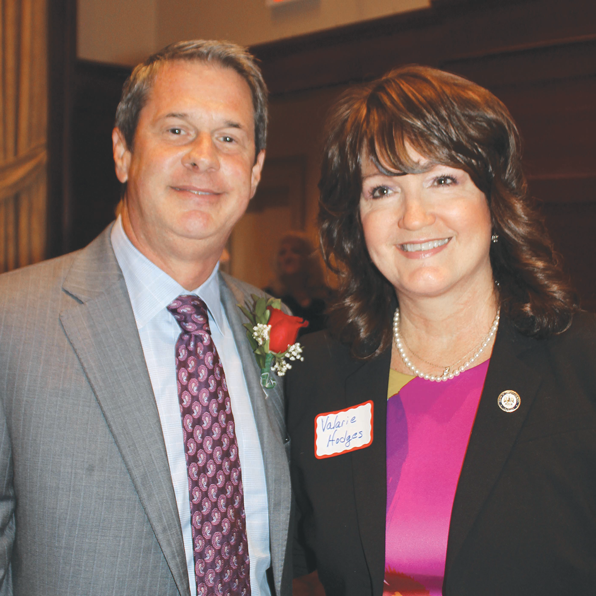 BATON ROUGE — Baton Rouge area Republicans packed the City Club for the 1st Annual Ronald Reagan Awards Luncheon last Friday and honored U. S. Sen. David Vitter as Man of the Year. Vitter was recognized for his support of free enterprise, limited government, lower taxes, traditional values, and a strong defense. Speakers included State Rep. Valarie Hodges, Gene Mills of Family Forum, Milton Graugnard of Cajun Construction, and Mayor Pro-Tem Mike Walker. Vitter said he was humbled to receive the honor.